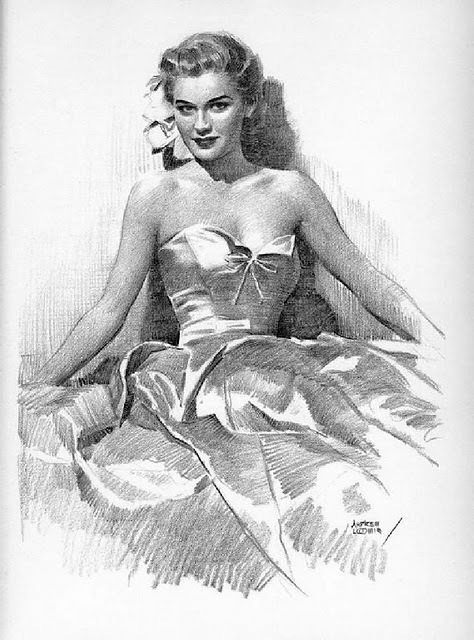 While making a recent purchase on Amazon.com I stumbled across a new listing for Figure Drawing for All It's Worth by Andrew Loomis. About two years ago a listing for Creative Illustration popped up by the same publisher, Titan Books, sadly this never came to be so don't get too excited. Still, This is a staple in the library of the figurative artist, so it can't hurt to pre-order. Lots of love for your work on a recent Ninja Mountain Scrolls podcast, but they seem to have a slightly skewed idea of Watts Atelier. As far as I know they are not public domain, and while I am certainly not against a little pirating of educational books that are out of print, I will always encourage people to buy an official print version if you can. Also thanks for pointing out the most recent Ninja Mountain. I am curious how do you feel they are skewed in regards to the Atelier. Ah, you're right, not in the public domain. Apparently this was on wiki at some point... "The Loomis family, who still hold the copyrights to all the books published by Andrew Loomis, have not expressed any intention of re-printing any of his work in recent days despite popular demand." I shouldn't post things I hear word of mouth. I guess I thought the podcast guys were missing the traditional focus of the atelier, but I just re-listened and they seem to get that. I was 0 for 2 today. Mark- No worries, that is a pretty common myth. I thought maybe I missed something, but they seem to have a pretty good idea of how thinks go at Watts.